My husband and I were awarded the term” picky parent” years ago. It doesn’t bother us in the least. Why? 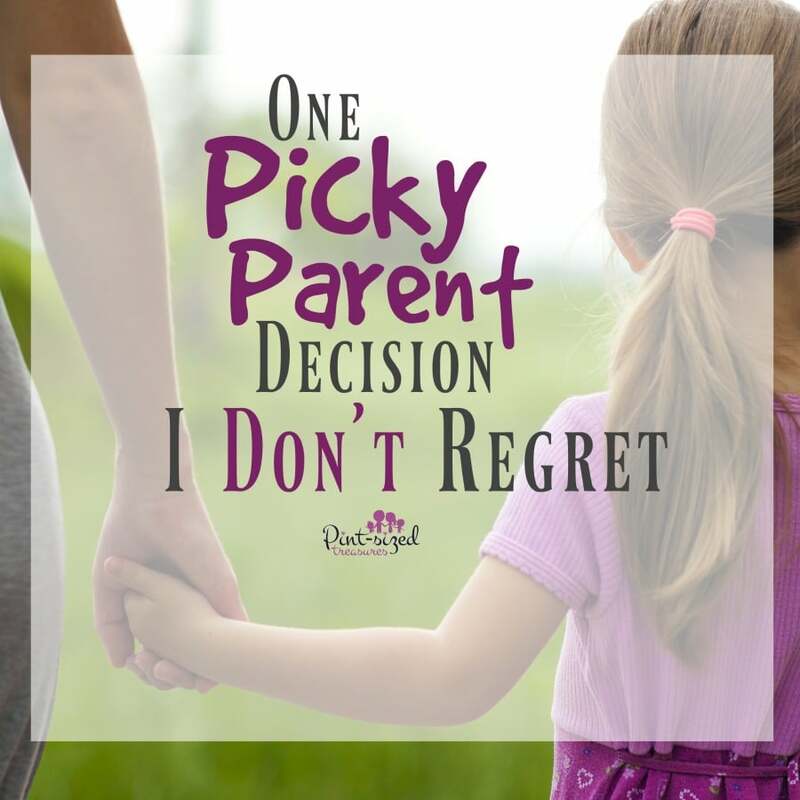 Because we make choices we believe are best for our family — even if it’s deemed a “picky parent” decision. As soon as my first child was just a few months old people were pressuring us to raise our baby against our personal beliefs. We would visit a family member and immoral scenes would play on the TV. We would have to either remove ourselves from the room or ask them to change the channel. Not a comfortable thing to suggest in someone else’s home, but sometimes you have no alternative. The pressure to comply with everyone else’s entertainment standards didn’t stop there. It seemed everywhere we took our kids people had something for them to listen to or watch. It was a constant battle. We soon learned to bring our own entertainment for those type of situations. Moms, don’t doubt your picky parent radar! Before our first child was born, my husband and I begged and pleaded with God for wisdom to raise the tiny human beings He would place in our care. We wanted to be the best parents we could be to our kids . We knew we only got one chance to raise them — and we wanted to do it right. Simply put, we based our “pickiness” on biblical principles — and still do. God tells us to be wise, walk in truth and be simple concerning evil. I wanted my kids to follow that same pattern for their life — even at a tender age. I’ll be honest. There have been some picky decisions I’ve made that I regret. But this one? Nope. I’ve never regretted it — not even once. What was our picky parent decision we’re still glad we made 15 years ago? We would be super-picky about what our kids watched and listened to. We would do our best to ensure that our kids would not watch or listen to programs or movies that promoted sinful behavior or thought. And if you want a simple list for picky parent approved kid movies, check this one out! One of our heroes in the Bible, King David, said he would put no wicked thing before his eyes — and neither should we. But why not apply that in other areas as well? As picky parents we also encourage our kids to guard their hearts, minds and ears against immoral, godless teachings. 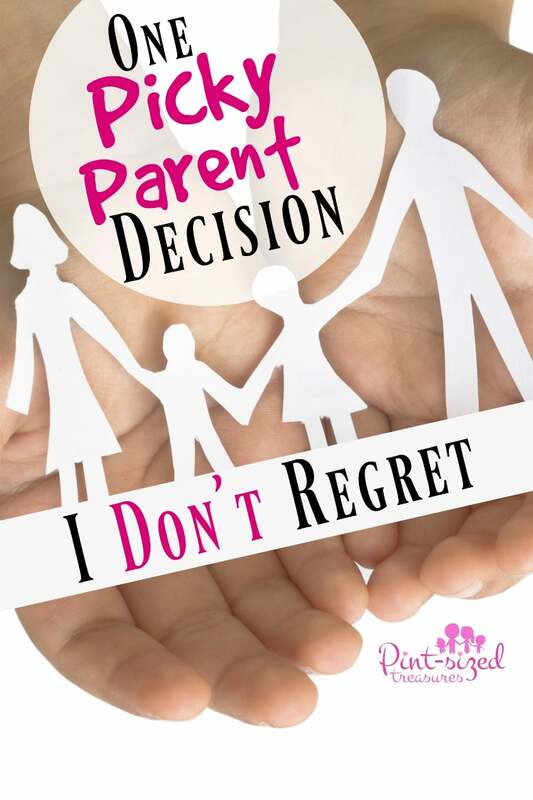 And we’ll chat a little bit more about that in a bit, but first I want to tell you where our picky parent decision lead us. And I want to thank Jonathan Park series for sponsoring this picky parent post! Several years ago our family stumbled upon the audio series called Jonathan Park. It was picky parent approved and my kids fell in love with it! Who am I kidding? Our entire family loves to listen to these episodes on a Family slumber party night or when we’re traveling on the road. Why don’t you take a little listen to the series right now? You loved it, didn’t you? That’s awesome because Jonathan Park is offering you a surprise! Pint-sized Treasures’s readers will receive up to 40% off any Series Pack. Grab yours here! I also let my kids listen to this series when I’m cooking dinner or just need a stay-at-home date night with my husband! It’s also a great way to let kids unwind, relax and enjoy some wholesome entertainment that’s mixed with Bible-based scientific learning. Listening to this series ends up being a win-win for parents and kids. I love how my kids never get bored with Jonathan Park because they are always coming out with a new adventure. There are lots of animated voices and the recordings are top notch. There have been many times I’ve seen my kids huddled around my computer as they listen to yet another creation teaching that’s fun, exciting and keeps you on your toes. I’m not exaggerating when I tell you my kids will do extra chores to listen to Jonathan Park! That’s always a plus for a busy parent, right? Many parents feel guilty when they let their kids spend time with entertainment. But this kind of entertainment doesn’t require screen-time and it encourages imagination! I love how Jonathan Park creators explained their view on audio entertainment. Read it below! It’s more than difficult not to get emotionally involved in these stories as the characters discover new mysteries and embark upon scientific adventures. In fact, it could definitely be included as a supplement to your homeschool science lessons if they need to be jazzed up a bit! I’ve never regretted our picky parent decision about what type of entertainment my kids are allowed to watch or listen to. Because of this decision my kids don’t normally engage in the typical tween and teen lingo that makes me cringe. I’ve met awesome parents that are completely confused about their child’s disrespectful behavior and language. Though I don’t know the answer to every parenting issue in this area, I would encourage all parents to check into what their kids are listening and watching. You may be surprised when a well-loved cartoon teaches disrespect to parents and allows slang words to be often repeated in the dialogue. Kids are influenced by negative behavior, so just be careful! Even though I’m a picky parent, I’ve stumbled in this area and missed a few things. Not until my kids had watched a popular Disney movie about three times did I catch the lewd adult content. My husband and I looked at each other with surprise and immediately turned the cartoon movie off. Be careful parents! Even with our best intentions it’s easy to miss inappropriate entertainment in your home! Now, back to this great audio series you don’t want to miss! How can you use Jonathan Park Adventures? I like to use audio programs like Jonathan Park Adventures in creative ways! Here’s a few ideas I thought many of you moms would love to try! A Friday Science supplement to your homeschool routine. We homeschool all six of our kids. Four children use videos for their lessons and two are taught one-on-one. I love it when I can find experiments, chapter books or activities the combine all my children together. Jonathan Park has been a great resource to do just that. We like to reserve Fridays for these supplemental activities. Try it and your kids (even teens) will beg for it to be a weekly event! A “good attitude” reward. For our busy home-school days, I don’t just reward kids for good grades, but they’re also rewarded good behavior. Consider letting your child listen to 30 minutes of Jonathan Park for a good attitude award. A break time surprise! Sometimes we forget to take breaks when we’re home-schooingl. We tend to just switch from subject to subject without blinking. I found that offering a snack, drink and a relax break for my kids mid-morning helps them get back on track and stay focused. Surprise your kids with a snack, drink and an episode of Jonathan Park! A Family Friday Night Event. Sometimes family Friday nights turn into movie and popcorn nights — week after week. Though movies are fun, change things up and invite the whole family to a slumber party with snacks, drinks and Jonathan Park. It’s fun to listen to a series and watch everyone’s facial reactions! Just because you’re a picky parent, doesn’t mean your family doesn’t have fun! In fact, our kids have one of the most exciting childhoods I know — and they have picky parents! Make Jonathan Park a part of your picky parenting journey and grab your favorite series now for up to 40% off! You’re kids will thank you for it! Thank you to Jonathan Park for sponsoring this post. All opinions are my own.